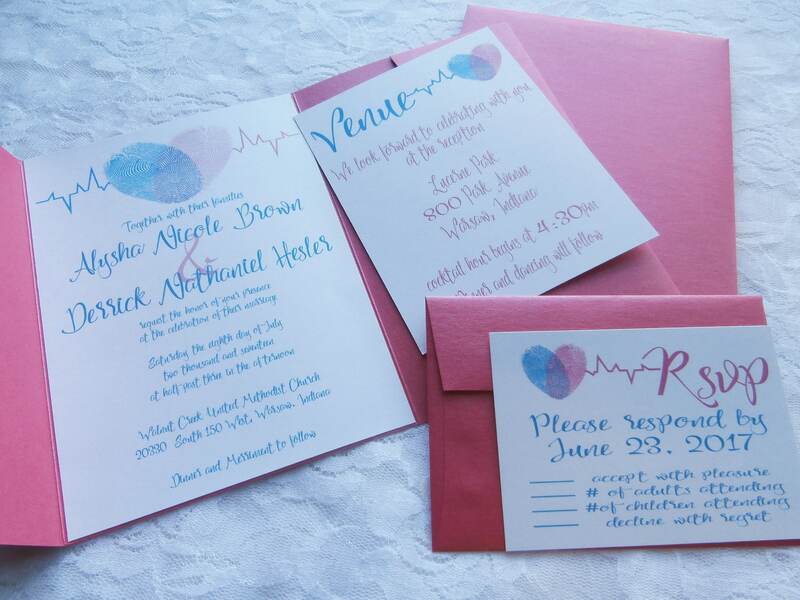 This Whimsical Invitation Suite will give a great first impression of your Big Day and help you set the tone. 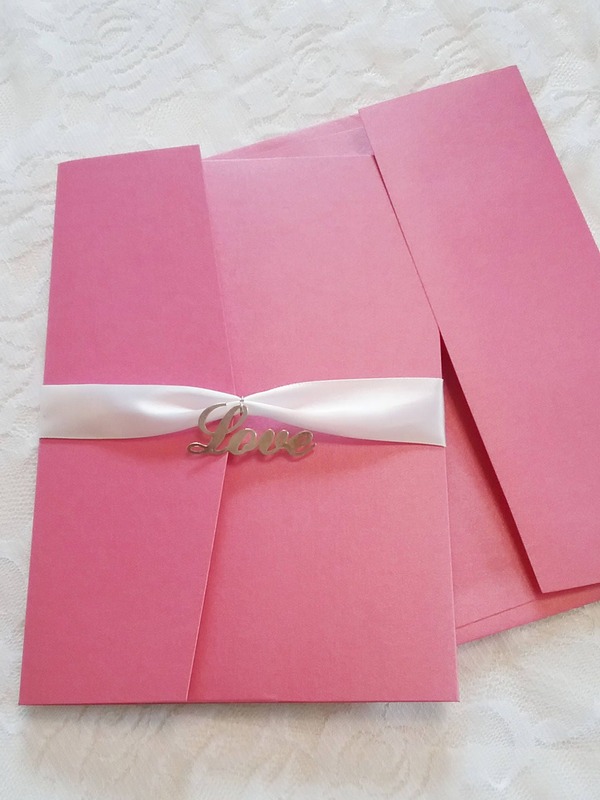 This Invitation features a Bright Pink Pocket Card Invitation, allowing for your extra cards to placed neatly inside your invitation. 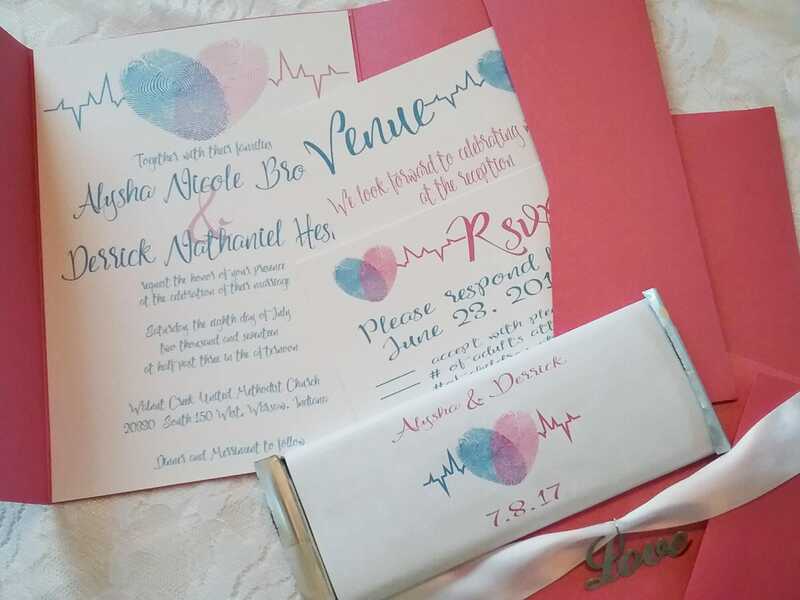 This Invitation Suite is perfect for any Bride and Groom who wants to introduce their whimsical wedding to her guests in an elegant way. The fingerprint heart gives a feeling of becoming united as one heart beat as the colors mix in the middle to a beautiful purple. 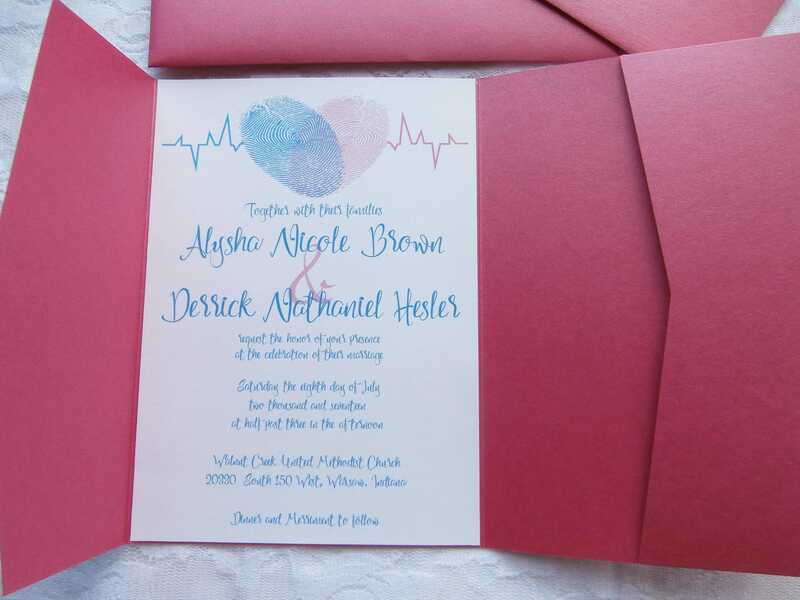 Samples are not personalized, but will give you an example of the quality you can expect in your invitations. Select from the drop down menu the quantity of Invitation Suites you will need. 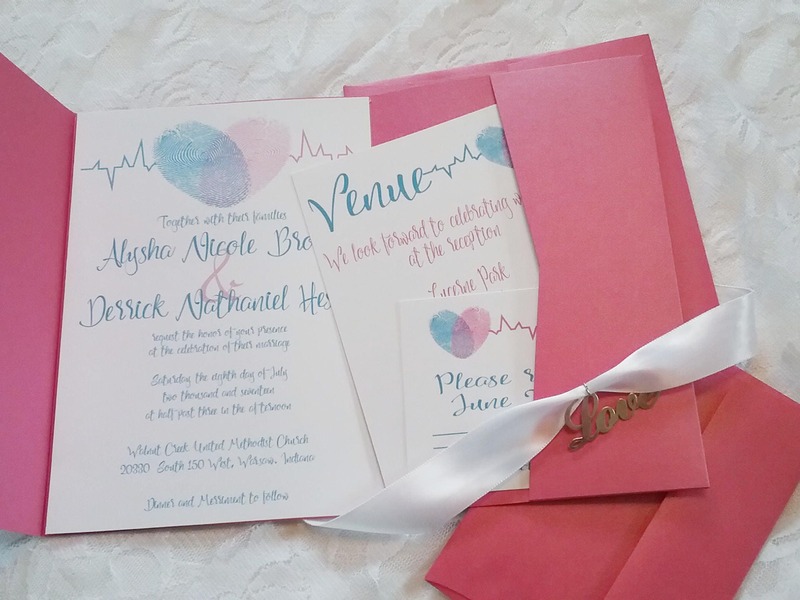 Invitation Suites include Invitation with envelope and Rsvp with envelope tied together with a beautiful belly band. 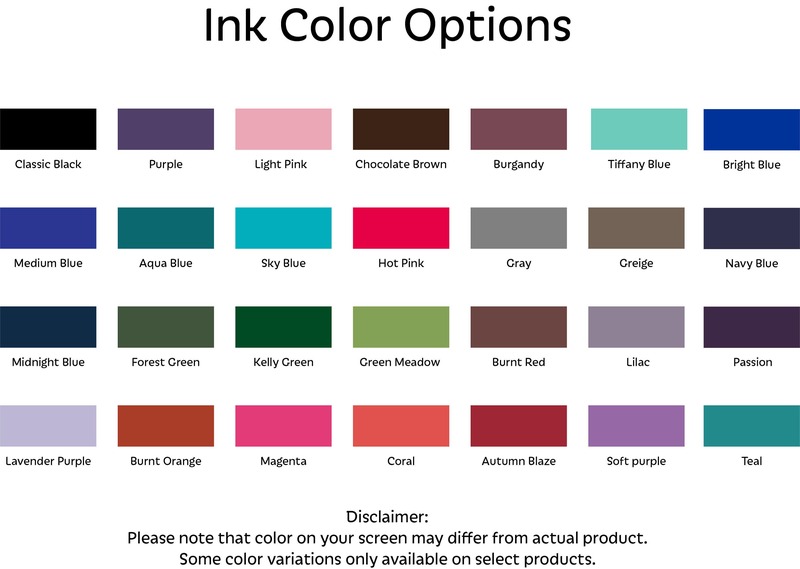 Please take a moment to view our color chart, Ink selections, and Font choices. 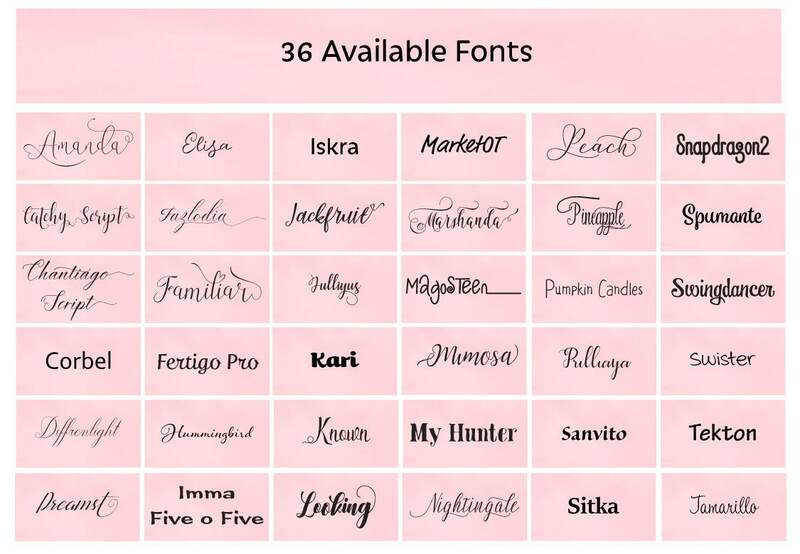 Include them in your note to seller along with the information to be included in your wedding invitation suite. Virtual proofs will be provided and requires approval before printing can begin. 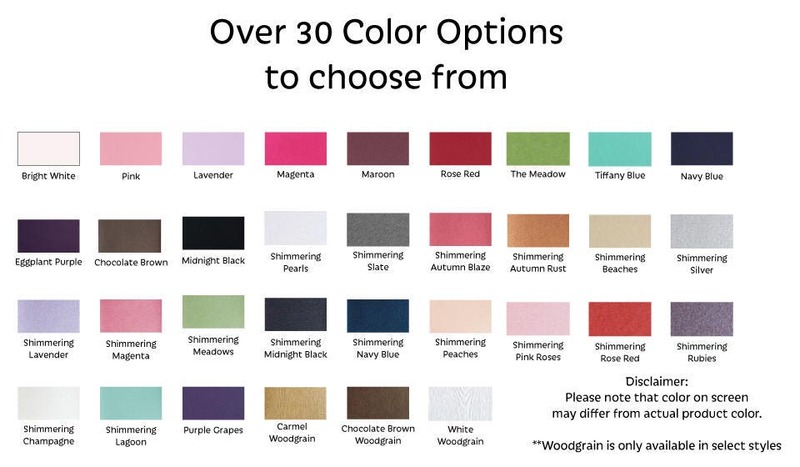 A physical sample can be ordered from the drop down menu. *Please note Sample orders will not be personalized. If you would like to get a detailed quote first please contact me by requesting a custom order or sending me a message. I will reply within 2 business days. I will begin designing your invitation. You will receive your first digital proof in 2-3 days. Your purchase includes up to 3 changes. If you are looking for a custom order contact me for a quote. Please review your proofs carefully-This is to ensure everything is perfect and just the way you wanted. Please note- Once your order has begun print, your order is final. Once you are satisfied with your proofs, the balance of your payment will be due before printing your invitations. Please allow 2-3 weeks to receive your invitations. Samples use USPS Mail. Please allow 5-7 days for delivery. Stationary over $150 will require a signature for delivery. Digital Downloads will be delivered through the Email address associated with your Etsy account. 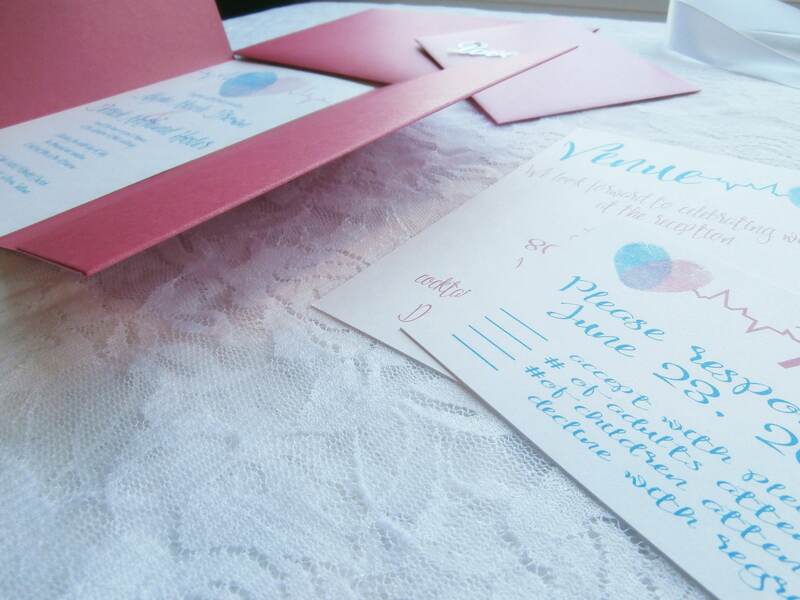 Please allow up to 6 weeks from start to finish for your printed wedding stationary. Once design work has begun the deposit will not be refunded. 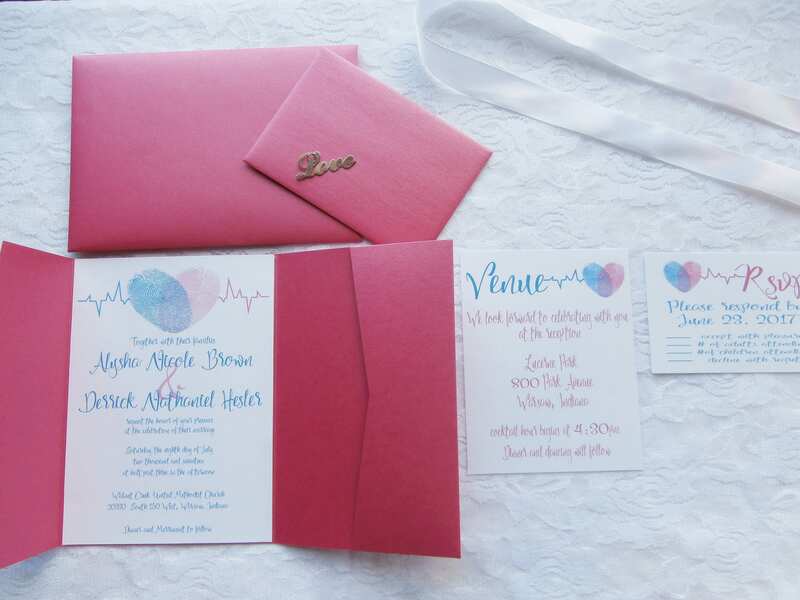 This is for the time I have invested in carefully designing your invitation suite. Once your final payment has been received and your order has begun print, your order cannot be cancelled for any reason. My ultimate goal is to bring a little light in to the world one image at a time.